A funny thing happened when I was out for a bike ride the other day. I was riding on a trail near our house when I saw what appeared to be a woman and her daughter walking toward me from the other direction. They were both walking dogs, so they had their hands full. The woman was walking in front and her daughter, who I am guessing to be 11 or 12 years old. As we got closer, the mother and I made polite eye contact, exchanged a quick head nod and a smile. Since I was looking in that direction anyway, I figured I would extend the same courtesy to her daughter. What I got in return was not what I expected. The young girl glared at me, with all the defensiveness she could muster. There was no smile, no nod, just a squinty-eyed stare and a quick look away. So what was the difference? To me I think this came down to confidence. The woman knew that merely saying hello to a passing stranger was nothing to worry about. In fact, she probably thought it was the polite thing to do. The young girl, on the other hand, didn’t have that experience. In fact, she may have been thinking of something the woman walking four feet in front of her told her many times – don’t talk to strangers. Because of this, she didn’t know what would happen in this situation. She lacked the confidence to say hello. We see this in little kids all the time. Put them around someone they don’t know very well, and mom or dad become their shield. Does this happen to us at work? You bet. Think about your service or hospitality expectations. When you get down to it, we are really asking our employees to treat perfect strangers as if they are old friends. Smile, ask them how they are doing, see what you can do to help. Especially for inexperienced and less confident employees, this behavior is usually reserved for people they know, and know well. So what do we do? I think a good overarching approach is to think about how to not only train your employees on how to do their tasks, but also figure out how to build their confidence at the same time. And what builds confidence? Think of the things you do well or have a particular aptitude for. You have probably been doing them for awhile, you may have even made some mistakes along the way, and I would bet dollars to donuts that someone along the way gave you feedback or guidance. Is that what we are doing for our employees, or do we simply give them a once over of the procedures and call it good? (I’m being dramatic about that last point, but you get the idea). 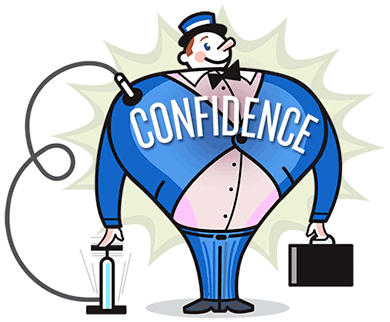 Building confidence is so important that it should be built into your training and onboarding process. I’ll just leave you with a confidence coincidence. I got an email from a friend the other day who was talking about some challenging experiences she had recently, and how she now felt more confident for having gone through them. This is someone who is established in her career, not a twelve-year-old walking her dog. Experience gives us all the confidence to face challenges and know that we’ll be alright on the other side. What are you doing to ensure your employees have the right experience to build their confidence? The other day I had lunch with a good friend who was telling me about her new job. To say that she had a rocky start would be an understatement. What was inspiring, but not surprising knowing her, was how after only 7 months on the job, she transformed a toxic team into one that is cohesive, respectful and productive. Out of the 25 people she inherited, 2 of them were the most challenging. And one of them in particular was enough to make most people quit. We all, unfortunately, know the type of person my friend had to deal with. Long term with the company, very vocal when things don’t go their way, and have seen other managers come and go. They rarely get the feedback and coaching they deserve for their negative behavior, which tells them it’s okay. 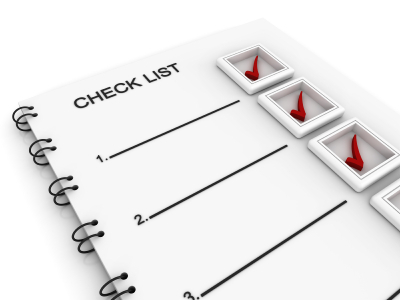 Left unchecked, you get an employee no one wants to deal with. Which could have been my friends approach, but it wasn’t. She stuck to that employee, got to know her, gave honest feedback and didn’t let her get away with her usual shenanigans. A few months in, the employee went to my friends boss and essentially said, “this isn’t working out, it’s either me or her!” Luckily for my friend, her boss wasn’t playing that game, and the employee ended up resigning. The other bad apple ended up leaving shortly thereafter. It wasn’t too long until the other 23 people realized how much more pleasant work had become, so much less negativity. So much less hostility. I often ask people if they would rather run their operation with a full staff including the bad apples, or a little short staffed with with everyone giving 100%. Overwhelmingly the answer is short staffed with an engaged and productive crew. It’s a tough call to make, but sometimes the tough answers are also the right answers. In fact, most of the time that’s that case. Have you had situations like this? How did you handle it? You know that never ending supply of books, DVD’s, articles, blog posts, speeches, and training sessions that boast the 3 or 5 or 10 things you MUST do to be a great leader? It’s all bunk. Hear me out. I’m not saying that these lists are bad. Heck, if you look through my posts I am sure you will see points I’ve made along the way that were intended help you be a better leader (that’s the whole point). However, yesterday I had an epiphany. Like a ton of bricks this idea hit me. This concept so radical, so mind-blowing, that it HAD to be THE SECRET to effective leadership. Wanna know what it is? Now before you say, “I’ll put that on my list of leadership traits”, stop. This is not a leadership trait, it’s a belief. A deep, powerful, belief. Like high school football in Texas. Like Red Sox vs. Yankees. Like fireworks on the 4th of July. As a leader, you have to hold this belief so dear and so true that it shapes your behaviors. Let me repeat that. This belief will shape your behaviors, just like other beliefs do. If you believe strongly that there should be fireworks on the 4th, then by golly you will either go see them or light them off yourself. If you believe that people come first, your decisions and actions will reflect that – all the time. You won’t need an arbitrary list from some leadership guru – you are the guru. So why is this so important? Leadership is unpredictable. You are dealing with human beings who have feelings, thoughts, opinions, outside lives, hopes, dreams, fears, and how they process all that, in addition to how they view you as a leader and their surroundings, determines their performance. Once you start saying you need to do these 5 things to be a great leader, you’ve forgotten or missed a ton of important stuff that you need to be ready for. That’s why I say that this is a belief, and the belief will guide your decision making in situations that you haven’t dealt with before – which happens ALL THE TIME to leaders, and why leadership training (or should I say ‘learning’) never really stops. You have probably guessed that I already believe this, and have for some time. How it works in my world as a trainer and facilitator is that there are times when the class just isn’t getting something, or they are too wound up to pay attention. In either case, I have to put the needs of the people before my need to get through the material. Do we need to take a break, re-focus the discussion or do I need a different approach? If I don’t put the students first, I never ask myself those questions. I get through the material but at what cost? Probably a disinterested group who don’t want to listen to me any more. So what was the point of getting through the material again? Again, I am not saying those lists are bad, but by themselves, they are just lists. We know that leadership is interactive. We know that leadership is unpredictable. We know that at the end of the day we will be asked to make decisions that will show what we truly value. What will you show that you value? Recognition. Trust. Setting an example. How many more leadership attributes can be contained in one comic strip? Of course that’s not really the question. The question is, thinking about your own behavior, do you trust people right out of the gate, or do they have to earn and build your trust? I’ve asked that of many different leaders and there are always some people who fit into each category. Which is better? Are either of them right? Does it come down to experience and personality? Probably. What about recognition? My last post was all about recognition and making sure we are recognizing and rewarding the right things. What I didn’t really touch on was WHEN to reward. Just like the trust/no trust camps, there are those who believe that someone’s paycheck is their recognition versus those who understand that people need to feel part of something, they need to belong… they need to see the value they bring to the organization. They need to be recognized. To answer the question of WHEN to reward and recognize, it needs to be when it’s deserved. If it’s too often and overdone it becomes meaningless, and when not done enough (like in the cartoon) it is demotivating. But I do believe that this is one that we HAVE to make the first investment in. We can’t wait for someone to WOW us before we recognize them. We could be waiting for a long time. This is especially true for brand new employees. They are just getting their feet wet, trying to figure out the company, their co-workers, everything. They will need encouragement and guidance if they are to become a productive employee for you. When was the last time you rewarded effort or a mistake? We often wait for the end result to provide recognition, however it’s effort (and continued effort) that is going to get people to the end goal. Mistakes can be great learning opportunities and if done right, letting people know that mistakes are okay (baring safety concerns) encourages them to learn, which ultimately helps them, you and the company. Here is the challenge: watch for outstanding effort or a mistake that you can recognize. Let someone know that you appreciate how hard they are working and that it will pay off in the end. As for the mistake, ask them what they learned and how that will help them in the future. Ask them to share that knowledge with others. Until next time -stay optimistic!